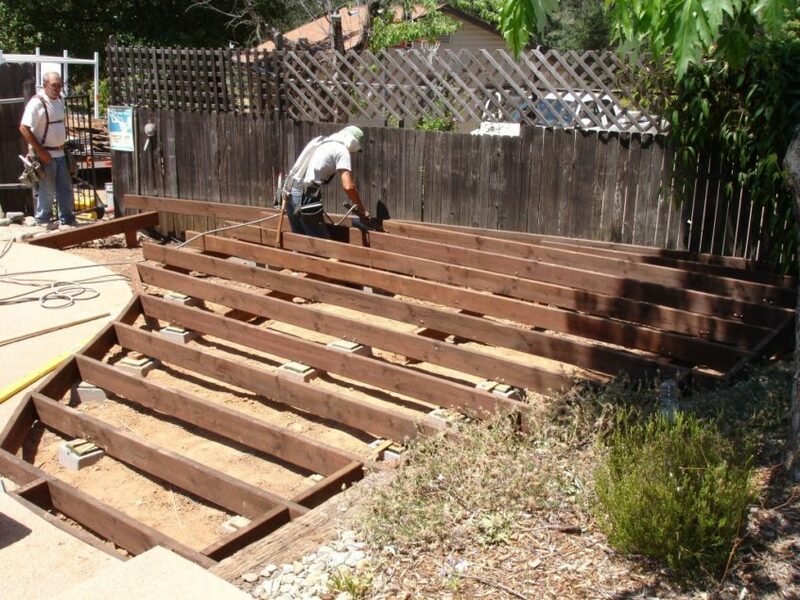 The owner was dissatisfied with an existing redwood deck that had begun splitting and checking and began showing signs of structural fatigue. He liked the design that curved to follow concrete decking adjacent to a swimming pool and wanted the new raised deck to follow the same pattern. Rather than using wood which requires maintenance, it was decided to go with a composite deck material. In review of samples and other product information, the owner made a choice to go with Azek decking. This is not an inexpensive choice but Azek offers a lifetime warranty while several other products only offer 25-year. In this case the owner was not interested in maintenance or in replacing the deck again during his lifetime. Azek offers several color options and is very nice to work with. In addition to higher product cost, the recommended fastening system will also cost more. With quality in mind, it can be safely said that with Azek, you get what you pay for.